Born in 1986 to two excellent parents, Avocado went through the normal distrust of a rural life. Trying not to bore out, he immersed himself into the world of electronic music and started focusing on DJing and producing. Despite his lack of self-confidence, his first success came quickly: as a lucky coincidence, his first production as Dr. Deep House was released on the world famous „Café del Mar“ chillout series and has received over 1 million views on Youtube so far. At the age of 18, Avocado started his first tracks, live sets and DJ gigs under the pseudonym of Pascal Vert where he released a variety of remixes on vinyl. While concentrating more and more on the production side, the Trio Chasing Kurt was founded in 2010. Together they performed plenty of respectable shows abroad under Avocado’s artistic guidance and expertise, for example at the famous Kazantip Festival, up to gigs in Mexico, Ibiza, London, Kiev, Berlin and many (not less spectacular) more. Avocados productions such as „Money“ and „From the Inside“, made their project internationally heard & recognized thru radio (airplays), media and musiclovers. In full he wrote & produced 2 albums within the project and did serval remixes – for example for german shootingstar Alle Farben. In the year 2015 he departed from the trio due to insurmountable differences. 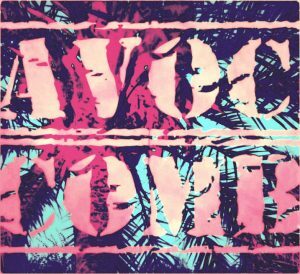 Avocado’s future plans are on his solo projects „Dr Deep House“ and, of course, „Avocado Combat“, where he’s already working on some lemon melodies.